The ancient Phoenicusa, Filicudi, is named after ferns, a characteristic plant of this geographical area which grew up and still today grows up, plentiful and luxuriant, on the island. The history of the seven islands of the Aeolian archipelago has faraway roots. 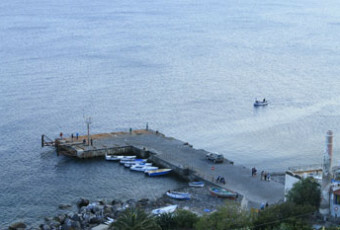 The first population units lived on Filicudi, such as on other six islands, since the Upper Neolithic, around 3,000 B.C. The excavations, rather recent, made in Capo Graziano locality, revealed twenty or so oval-shaped huts some of them has a “fishes’ bones” structure, situated on the promontory on the western slope of the mountain around 100m upon the sea level. It is clear, thanks to their particular structure, that these constructions were built in this way to better defend against frequent attacks, and violent forays, which occurred on the island. Inside the huts there were found: pieces of pottery of autochthonous production dating back to the Diana period, discovered on the southern coast of the port. Other pottery of the proto-Mycenaean style, found near to Capo Graziano village, allow us to understand the way the village continued to evolve until 1430 B.C., when it ceased to exist, probably because of a violent destruction. On the highest point of Capo Graziano there is the ancient sacrifice altar of these ancient populations. 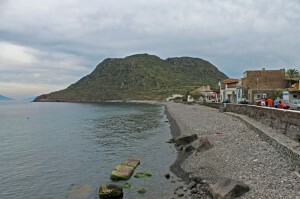 It seems Filicudi remained desert for some centuries because of the arrival of the “Ausones”, the population of the origins from the Apennines, later to be again populated during the Greek period. The traces of the Greek presence on the island are evidenced by the finding of a funerary inscription in Zucco Grande, and by the traces of an extraordinary Byzantine necropolis on the ridge of the port. Some of the marine wrecks, instead, date back to the Roman Age, can be sightseen today, and the ruins of the houses still today recognizable on the northern side of the port.